I Give 100%, No 125%, No, Wait More Like 200%! Well, duh, Ruby. Or wait, does it? Once you’ve “become” a volunteer manager, does everything personal just fade away into this nirvana of blissful martyrdom? So, are we afraid to voice the following concerns to our superiors for fear of being selfish? 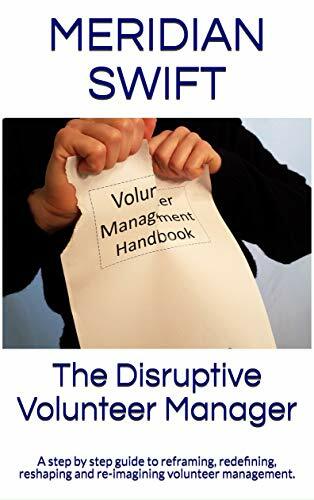 When the hard stuff, like not enough understanding of what volunteer managers do, or too many requests from too many departments and no way to prioritize, or challenges with staff, or no perceived support starts to whittle away at your commitment, then burnout begins. When we are embarrassed or afraid of asking for the help we need, we aren’t just doing a disservice to ourselves, we are actually hurting our volunteers and the very people we are here to help because we will not be any good to them if we are resentful or burned out. Because your “calling” is not to be a martyr, it’s to be a leader. Interesting post, this is something I see often in the industry. Prior to finding a love for volunteer management in the non-profit industry, I served in the Armed Forces, specifically in the Intelligence Community. Because the work I did was so sensitive, I had the luxury of never taking work home, leaving all of that at the office. When I transitioned from military service, one of the biggest challenges I had to overcome was creating appropriate boundaries at work, because I could now take work home. it was sometimes expected, and the work never stopped. I quickly learned that as much of a workaholic as I am, I wouldn’t last working so many hours, so many events, etc. I once read something some years back that claimed that nearly half of all workers who leave non-profit work cite “burnout” as the main reason, and I believe it. I’m a believer in establishing boundaries and “self care.” If I am not 100% when I show up to the office, the work I do will suffer. So that’s the first thing for folks reading this. If you take care of your well-being, when you show up to work, your organization (and the people you serve) are getting your best effort. Not a rundown, overworked, stressed out and fatigued version of you. This only happens if you set boundaries that prevent exhaustion. Secondly, when it comes to asking for more resources, it’s tough if you don’t have buy-in from leadership and decision makers, but it comes through time after people see and feel the impact from the work you’ve done. It takes patience though. If done in haste, it could lead to failure and negative results. Lastly, know and believe in your worth and value. For folks who feel undervalued, you’re your best and only cheerleader in life, so establish yourself and keep tooting your own horn… You have to, because others won’t in most cases. At the end of the day, know you don’t have to be a martyr. This can be an issue with the culture that exists within the industry, the culture at your organization, or maybe it’s internal struggles from your own values and beliefs. But in most cases, culture change takes time. Great post, this topic needs some serious addressing in the non-profit community. Especially if we’re going to change this behavior. Hi Jerome and thank you so much for sharing your experiences with us. I agree wholeheartedly that burnout can be a very real issue. I have to be honest, I struggled mightily for years with trying not to be this martyr person (think-better than the average person) until I realized that being a martyr is really about feeling good about myself and not about the people I manage or serve. So, sometimes, we can bring burn out on ourselves with a little help from overwork and misunderstood job expectations. 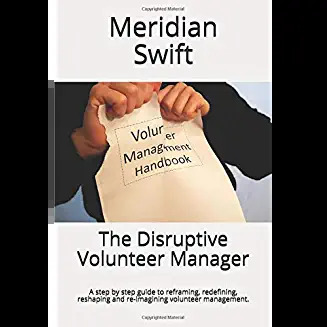 Thanks Eileen-and watch your own burn out-you are there to help all the other volunteer managers suceed which is a huge job so thank you for what you do! I’m so glad that you wrote this post, Meridian. Oftentimes I get the sense that our colleagues think they have a time management problem, when the real issue is setting boundaries around the work load and asking for what we need. It’s such a pervasive issue in nonprofit culture. We can start to turn things around by setting those limits and serving as models for our peers. Thanks Elisa! I love your ecellent point-is time managment an issue or is it more the inability to say no and be everything to everyone? I think we can easily confuse commitment with martyrdom. Asking for what is needed is not selfish, it’s just smart volunteer management. To all the Ruby’s out there, it’s time to take to the streets, to unfurl the banners and to wave the placards! We would never allow a volunteer’s time to be exploited – so why do we let it happen to ourselves? If you stop short of public demonstration then let’s get self care and establishing boundaries included in the training for managers of volunteers. Love, love, love that suggestion Sue-self care being part of a volunteer manager’s orientation to any organization and in any training given to volunteer managers.